Jeffrey Gelblum, MD is an honors graduate of the University of Maryland. Dr. Gelblum completed his neurology residency and post-graduate fellowship training at the University of Miami. His clinical practice was established in 1992. He has successfully treated thousands of patients over a quarter century, from South Florida and around the world. He is considered a global thought leader in the neurologic treatment of dementia, seizure disorders, Parkinson’s, Familial Amyloid Polyneuropathy, trauma, and chronic pain, and has hosted educational symposia in the U.S. and overseas. Dr. Gelblum maintains numerous research FDA-sponsored affiliations, providing patients immediate access to promising new treatment protocols. His practice maintains academic affiliation with the medical residency programs of Nova Southeast and Florida International University. He trains future neurologists, so it is not unusual to encounter student doctors in the office. Listening first, with a compassionate and thoughtful response thereafter, is the philosophy of his renowned clinical practice. Parkinson’s, Alzheimer’s, Frontotemporal Dementia, Epilepsy, Autism, Familial Amyloid Polyneuropathy, Neuropsychiatry, Spinal and limb nerve pain. Forensic neurology with a disability, competency, and guardianship determinations. Expert witness to State and Federal courts. 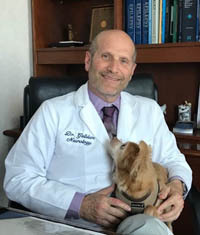 Jeffrey Gelblum, MD is a neurologist located in Aventura and Miami Beach, Florida. You can contact his office at (305) 936-9393.